18. Similar to the idea of holding a webinar, host a Twitter chat, a Facebook chat or a Google+ Hangout on Air to create a real-time interactive experience with your audiences online. Create an engaging session on a valuable topic for your target customers; invite industry leaders and customers alike to join in on a moderated discussion. Showcasing a human face during these sessions can help your business better foster trust amongst your audience, which will likely help you gather more leads from your social community. 19. Encourage sign-ups to your email list as a form of entry into a contest, sweepstakes or promotion your company is hosting at an event. 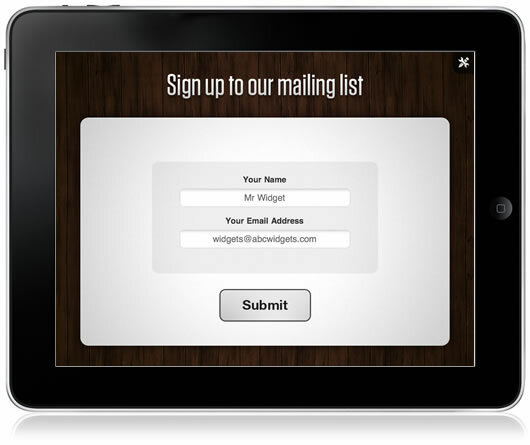 The sign-up can be done through one of many apps on a tablet or by hand with pencil and paper. Make sure the prize that is being awarded to the winners is relevant to your company’s offerings to ensure the quality of your leads. For instance, many companies give away iPads as prizes for contests, which is quite often completely unrelated to their business and draws the attention of anyone looking for free swag. 20. Set customer targets based off of the event’s attendees and encourage them to visit your company’s table, booth or area. If need be, incentivize them with free swag, food or alcohol to get the opportunity to be in front of them and share the value of your products or services through a conversation to see if they are facing issues your company helps solve. If they do encounter issues that are relevant to your company’s offerings, then demo your product or service for these attendees if they are interested. Don’t ever be pushy, but offer your contact info to the attendees at your booth and be sure to gather their contact info as well to ensure there is opportunity to follow up after the event. 21. Whether you’re giving a demo, hosting a contest or any other kind of engagement with attendees at an event, be sure to deliver value no matter what to create warm leads. The more value you’re adding to a person’s day, the more likely they will listen to information about your product and service offerings. When you’ve presented attendees with more value through free content, relevant swag or insights on industry trends, the better your engagement will be with them at the event and for the future. 22. Communicate with event attendees before, during and after the event to get the most of your time in front of them with a variety of communication tactics. Send registration emails before the event as well as reminders about the date, time and location to keep potential attendees engaged. Use social media to alert attendees of your presence at a large-scale industry event to make sure you aren’t lost in the crowd of other companies and competitors. 23. Create an event within an event to overpower other companies’ presence at a large conference. 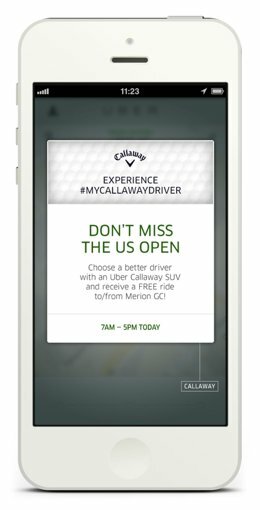 Take a product demo to the next level by offering a one of a kind experience to attendees like the free Callaway sponsored Uber rides at the U.S. Open in 2013 or the truth-or-dare themed campaign Ray Ban recently launched at Sundance Festival to capture the attention of potential customers. 24. Follow up with attendees with relevant messaging via email from gathered information acquired at the event. The follow up should contain contextually relevant information gathered by the members of your staff to help personalize the message and make it more effective at engaging the potential prospect. Send original content to prospects to help match any needs or problems they are facing, based off of conversations had at the event. Offer to move the conversation from an email to a phone call at the convenience of the prospect, since a phone call is more likely to convert customers then email alone. 25. 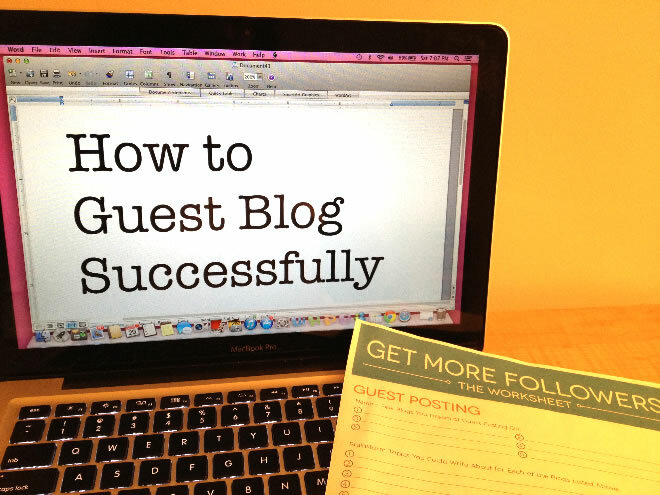 Guest blog on other relevant websites to draw traffic, links and greater visibility to your company’s blog efforts. Overtime, a consistent guest blogging strategy can work to help drive thought leadership in your industry in relation to the topics your company wants to be associated with. Start by identifying websites that have similar audiences to your customer base and reach out to the other website’s blog editors to see if they accept guest contributors for their blogs. 26. Add a call-to-action at the end of your blog posts for readers to sign-up for your email list, try a free trial of your products, download a long-form piece of content like an eBook and more. The addition of this call-to-action at the end of your blog posts helps bring more engagement with your company and its ecosystem of content from readers. Spelling out next steps for readers online is often what it takes to get them to engage with your company further. 27. Focus on naturally including the keywords that your business should rank highly for in the search engines by adding them to the headline and the body of your blog posts frequently. Linking some of these relevant keywords within your blog posts to other pieces of content on your website including other blog posts, will also help drive further visibility to your articles. This added visibility of your content can help increase the likelihood that the right leads looking for your services will find you when they’re conducting relevant searches. 28. Conversations spurred from your blog posts will help build your ongoing rapport with visitors online, building their trust overtime when your company provides continued education, support and delight. Communicate with readers by ensuring your writers communicate with readers on social media, as well as in the comments below your company blog posts to discuss topics further. Install Disqus, Livefyre or IntenseDebate to help facilitate engaging conversations on your blog utilizing features like social logins, conversations grouped into threads and more. Using the right tools with genuine dialogue will help turn readers into leads overtime, once they’ve become a consistent reader of your blog. 29. Include beautiful images with your blog content to increase the engagement with your content substantially, especially when your posts are shared across social media. According to Buffer, posts with photos on Facebook get 53% more likes, 104% more comments and 84% more click-through on links than text-based posts. Include images on all of your blog content to make it more engaging when viewed on your blog and when the link is shared across other social channels. To incorporate images take your own photos, design your own images in Photoshop, use the photos of others by crediting them for their work in certain circumstances or buy a subscription to a royalty-free stock photography bank like Shutterstock, Getty Images or iStock. 30. Once your blog is well-trafficked, setup remarketing campaigns to target your blog visitors who recently viewed content on your blog. Services like AdRoll, Retargeter and others allow your company to follow blog readers with a pixel that will then show them ads on Facebook and other websites across the web encouraging them to return to your website. Use persuasive calls-to-action in your remarketing ads to get recent visitors to return to your website to try your products or services. Download your copy of the "30 Lead Generation Strategies to Help Grow Your Business" guide as a handy ebook. A lead is the profile of information gathered about a potential customer from a variety of interactions with your company. Putting various processes and events in place to capture leads is important to the long term growth of your business, since the goal of growing your database of leads is to eventually convert them into paying customers!